Our challenge was to find new design opportunities in Uganda's healthcare system for Philips, one of the main manufacturers of medical equipment in the world. The project focused on the application of solar technology to new products or services based on an extensive research of stakeholders' unmet needs. I was part of the project team formed by 2 product designers, 1 interaction designer and 2 strategic designers (one of them myself). My duties were to define the research plan, create the research material, conduct qualitative research with users and stakeholders, co-lead the generative workshops along the project, synthesize the data gathered on field with the team, uncover key insights and design opportunities, and define the business models for the final concepts. Our goal was to map the healthcare system in Uganda in detail to identify gaps that we could fill with new products and services. We framed our research in three dimensions: Culture, business and technology. We went around the country visiting healthcare facilities of different sizes, from small clinics to national hospitals, private and public. We talked to multiple stakeholders in the system, analyze their interactions and value exchanges. This extensive diagnosis helped us to focus on the biggest unmet needs found in the most relevant stakeholders of the system. We organized generative sessions and in-depth interviews in hospitals with nurses, midwifes, doctors and management staff to understand the internal dinamics. Simultaneously, part of the team was observing around the hospitals and applying role play to capture specific conducts from different actors. To explore the user preferences when doing certain actions, behaviors and the decision making process during their work day we performed A-B tests followed by 5-why technique. Health workers belong to the community and feel responsible to take care of their fellow members. They have short term mindset and do not feel ownership of the healthcare facilities. In general, they have a passive atittude regarding broken equipment. Public hospitals and clinics are under developed compared to the private healthcare sector. The quality of private healthcare services is good because they have constant cash flow from their paying patients and they can reinvest in equipment and qualified staff. Lack of electricity is big barrier to provide good quality in healthcare services. However, low tech mobile phones become a multitasking device, (communication, light, time, entertainment...) being a vital tool for medical community practitioners. As a result of this project, four product service systems were designed. The solutions presented took into account three dimensions: User desirability, technology feasibility and business viability. They satisfied real user needs uncovered in the research phase, applied a mature technology, by itself or in combination with solar energy, and built a solid business case for the different stakeholders involved. More details about the final concepts cannot be shared due to non disclosure agreement. Doing an extensive research does not mean that it provides better insights. In some cases, a more agile research have similar results with fewer resources. It is a trade off that designers should consider. 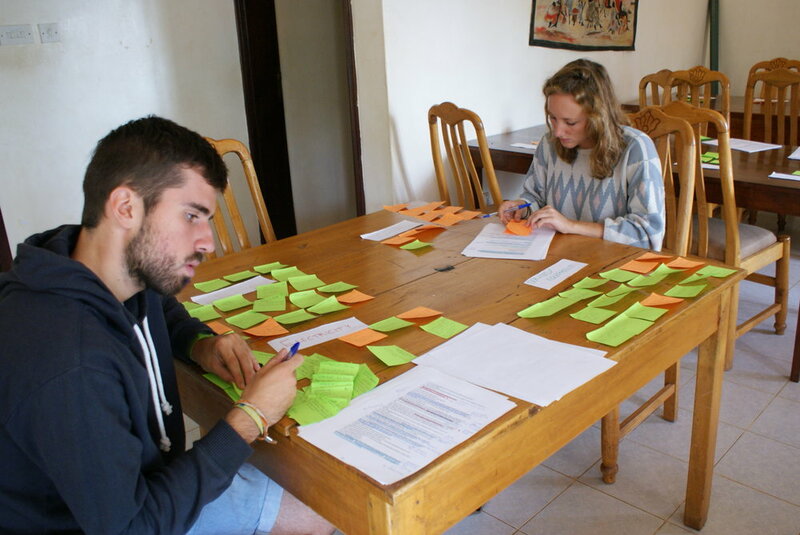 On the other hand, landing research findings to product and service features demand time and team work. Do not underestimate this part of the process. 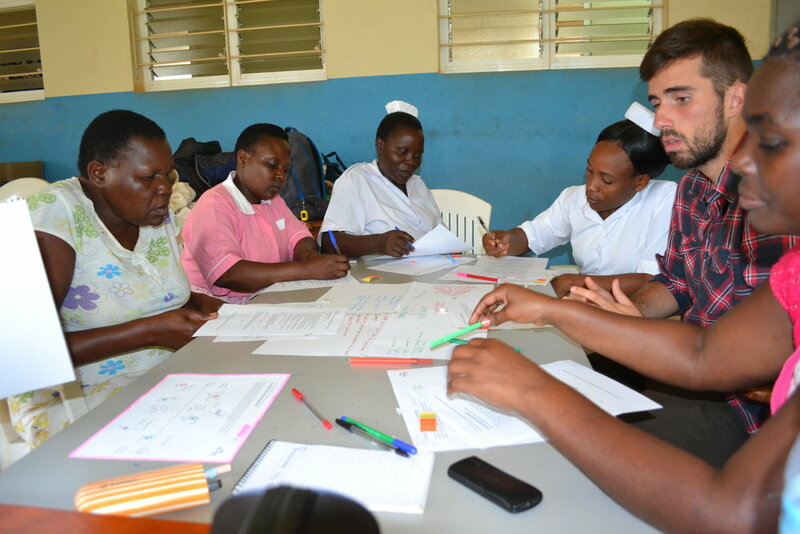 Due to time constraints, we could not test our solutions in Uganda with doctors, nurses and community workers. Initially we planned to build low fidelity MVPs to test our assumptions and evaluate the real value of the solutions, however we should have managed smaller loops in our design process testing the reactions of the users with rough artefacts.